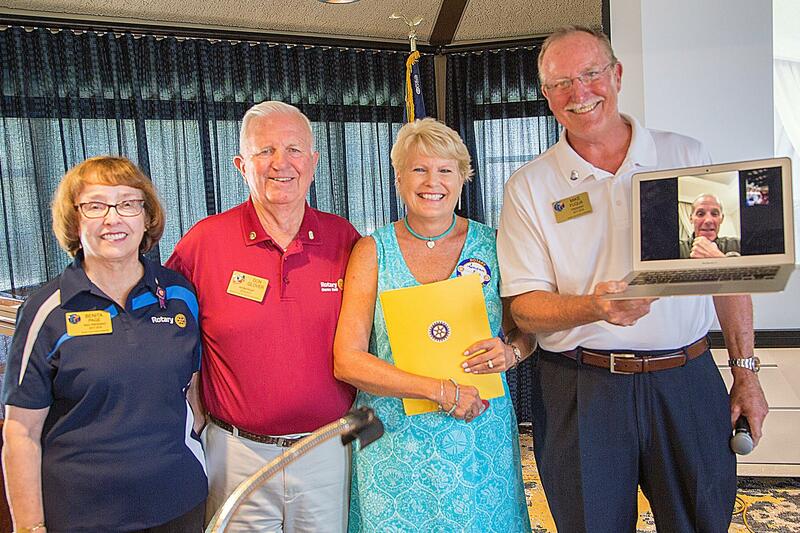 The Rotary Club of Rancho Bernardo started their new Rotary year with a bang on July 6 with the induction of two new members - David King from half-way around the world in Kuwait via FaceTime and his wife, Susan here locally. David and Susan are the newest members of the club and, as such, the newest members of Rotary International. Although David, a retired Marine Colonel, is traveling on business to the Middle East, the couple had been active for several weeks so the Club decided to go ahead with their induction via FaceTime. Using this mode of media was certainly unique and despite concerns that the connection would be tenuous, the communication worked almost perfectly. It was also a great way for members to see the value of technology in promoting flexibility and innovation. Additionally, David and Susan King are the first members to join under the new structure of Family or Corporate membership. Two weeks ago, the first corporate member was inducted when Scott Lawn and Alex Lawn of Greenway Lawn Aeration Company became members. 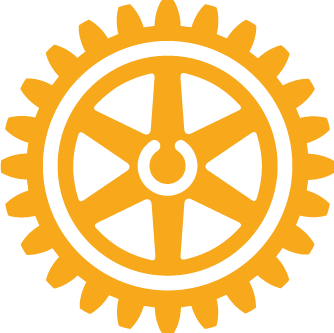 The Club created two new membership categories - Family and Corporate to encourage two members of a family or business to join together in becoming Rotarians. These categories come with a discount and flexibility in attendance. The Rotary Club of Rancho Bernardo is moving forward to embrace new membership concepts and innovative ways to attract members into the culture of "Making a Difference."